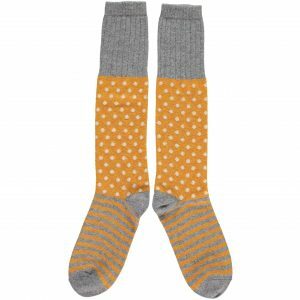 Category: Collections, Interior, Sheep, Summer Sale, Sale, Easter, Textiles, Cushions, Woollen Favourites. 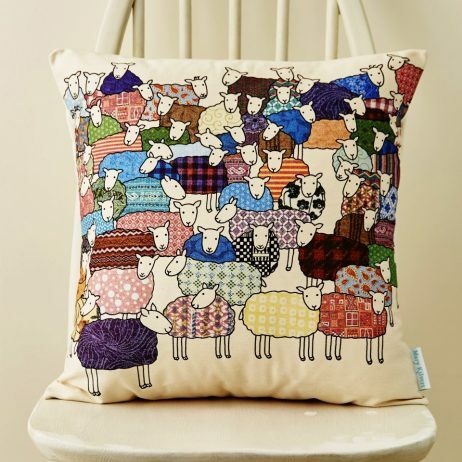 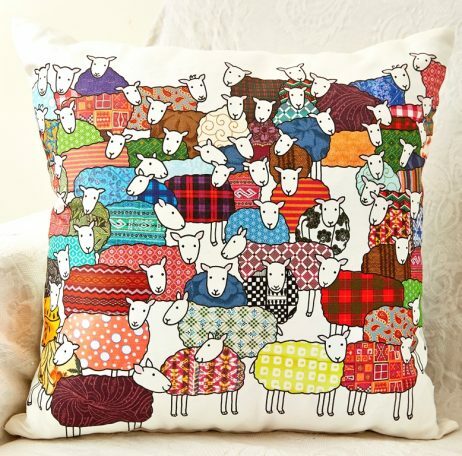 Large cushion showing colourful flock of sheep illustrated by Mary Kilvert. 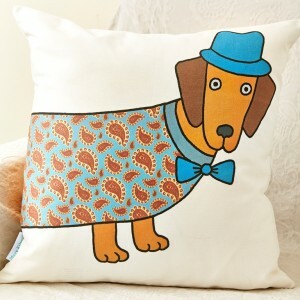 This cushion will brighten up any room. 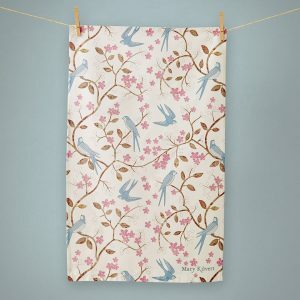 Handmade using beautiful linen and combed cotton mix with a neutral plain linen back, in a natural off white cover, which has a lovely soft feel. 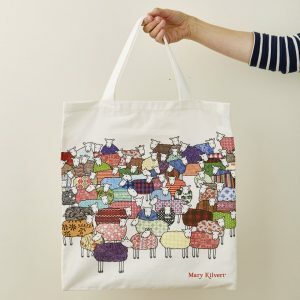 Removable cover with envelope opening on the back.